Nereida (Nery) hails from the historic Mission District in San Francisco where she grew up and developed a community based passion for the green movement. 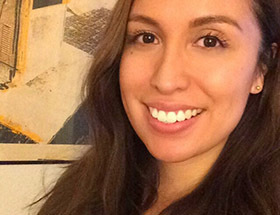 This passion led her to obtain a green and sustainable business certification from City College of San Francisco while working for the City and County of San Francisco. She is a proud mother of two, avid supporter of her championship SF Giants, and enjoys working on handcrafted projects on her time off.